If you are searching for a great gift to tuck into a special little one's Pascha basket, look no further! 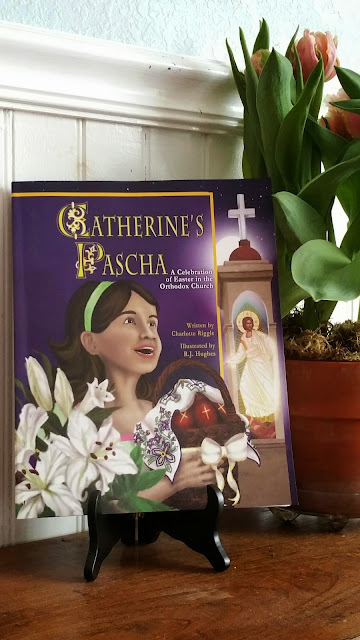 Catherine's Pascha is a delightful chronicle of the Feast of Feasts through the eyes of a very excited little girl. Full of engaging text and vivid pictures, Catherine's Pascha is sure to become a favorite for years to come. One of the best parts of this book were the detailed illustrations along the edges of each page depicting Orthodox Churches from around the word. Be sure to take a look at the book trailer! Thanks! I may just get this book!